Marcus Rashford’s man-of-the-match performance against Costa Rica has predictably led to calls for him to start for England at the World Cup with Raheem Sterling the likely fall guy. However, focusing on choosing between the two youngsters might be the wrong debate entirely, with both Jamie Vardy and Danny Welbeck possibly more worthy of consideration. Captain Harry Kane’s place in Gareth Southgate’s first XI is guaranteed barring injury and the manager appears to have settled upon a formation that requires a second striker. Having started alongside Kane against Nigeria, Sterling had looked to be in pole position to play from the off against the north African side until Rashford’s Elland Road command performance. England are 1/3 to best Tunisia in their first Group G assignment and Rashford is regarded as the slightly better first goalscorer chance at 3/1 to to the Manchester City ace’s 7/2. 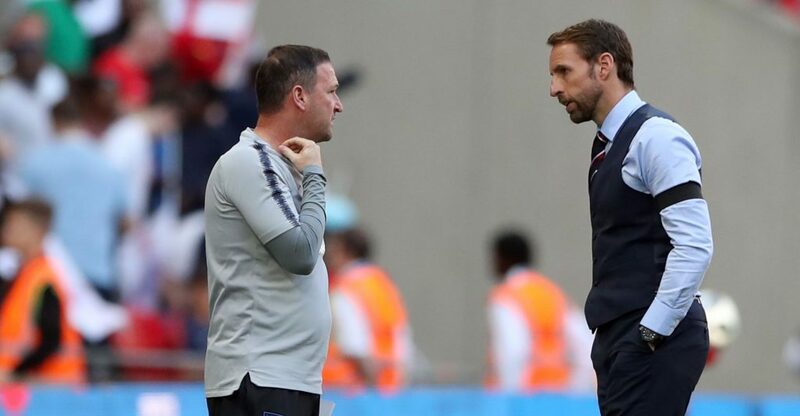 Looking back over the pair’s last 10 appearances for England, the Manchester United man has been afforded 106 minutes more than his Manchester City counterpart. Given both young talents assisted two strikes for their country during the period under examination, the latter appears to have been marginally more effective at serving up chances for teammates. However, when it comes to goals, Rashford outshone his supposed secondary striker rival by two to zero. A telling effort in light of Sterling’s three shots all being either blocked or off target against Nigeria. The United talent, who bagged with his sole shot against Los Ticos, therefore has offered the greater end product in terms of actions leading to goals. Rashford’s finishing should give him the edge in the face-off with Sterling for Engand’s second striker berth, but in truth both lag well behind Jamie Vardy and yes, Danny Welbeck, when it comes to goalscoring ratios for the Three Lions. The Leicester striker can feel aggrieved that his name isn’t front and centre when it comes to partnering Kane, having struck seven times in 22 international caps to date. Welbeck, meanwhile, boasts an event better strike-rate for the national team, bagging 16 times in 39 appearances. Far more prolific with the Three Lions on their shirt than the two young men monopolising the reactionary post Costa Rica chat, Vardy and Welbeck are 13/5 and 7/2 to score first against Tunisia respectively.